Registration for the WPTDeepStacks Brussels Main Event closed last night when the final two of three starting flights were wrapped. All in all, the latest edition of the tournament drew 530 entrants. 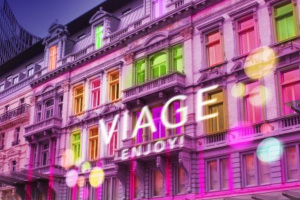 However, only 187 of them made it through their respective starting flights and will return to the host casino – Grand Casino Brussels Viage – to continue their fight for the title and the first-place prize. Action on Friday kicked off with Day 1B of the €1,200 buy-in Main Event. And it was a pretty busy day as the second starting flight saw 297 entries register for a chance at becoming WPTDeepStacks’ brand new Main Event champion. Once all 12 levels scheduled for the day were complete, it was Albania’s Llani Albano who held the largest stack. The player put 226,000 into his bag last night to secure a comfortable entry into Day 2. Albano is among the top stacks on the overall chip counts chart with only three players, all of whom registered in the event on Day 1A, standing above him in the temporary ranking. It will be Mehdi Merai, Day 1A’s chip leader, who will be leading the remaining survivors into Day 2 of the Main Event. Merai scooped 276,500 at the end of his respective flight. It should be noted that Albano is no stranger to WPT success. He has previously taken down a WPT National event namely in Brussels. And just a few days ago, the player captured the title in the WPTDeepStacks Brussels opening event. That should be giving him quite some confidence as the player is heading into Day 2 of the Main Event. As mentioned earlier, there were two starting flights to be played on Friday at the host casino. Day 1C of the tournament featured a turbo format and kicked off at 10 pm, giving interested players one final chance to enter the Main Event. Day 1C drew 89 contestants, but only 39 of them made it through the very end to add up to the mix of survivors. Guillaume Darcourt finished the day as the chip leader with 165,000. All the remaining hopefuls are set to return to the host venue today at 2 pm local time to play Day 2 of the tournament. The field of players will be reduced even further on the second day of poker action. The final day will be played tomorrow when a winner will be crowned and awarded the lion’s share of the prize pool. Information about the final prize pool and the places paid is yet to be released by organizers. Greek poker pro Ioannis Angelou-Konstas is the defending WPTDeepStacks Brussels champ. 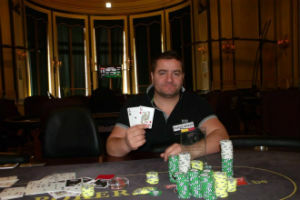 The player outlasted a field of 315 entries this past spring to claim the Main Event title and €75,000 in prize money.